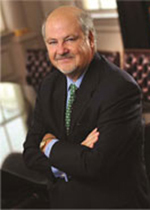 Michael J. Farrell is the Founding Member of Farrell, White & Legg, PLLC, a Huntington law firm. He graduated from Marshall University in 1969 with a bachelor of science degree, and went on to the West Virginia University College of Law where he received a doctorate of jurisprudence in 1974. He served as interim president of Marshall University in 2005. Cumulatively, he served 11 years as a member of the Marshall University Board of Governors and its predecessor, Marshall University Advisory Board. At Marshall, he also served as a member of the Alumni Association Board of Directors. As a Marshall student, he was student body president, a member of Omicron Delta Kappa, a distinguished military graduate, and the first student member of the President’s Cabinet. He also served as MARCO, the school mascot. At the WVU College of Law, he served two terms on the Visiting Committee including a year as chairman. As a law student, he was an oralist on the 1973 National and World Champion, Jessup International Law Moot Court Team. He was senior class president, a member of law review, and served as chief justice of the Moot Court Board as well as captain of both the National and International Moot Court Teams. He is a member of Mountain, WVU’s Ranking Men’s Honorary. Jenny Allen is the Chief Operating Officer at SkyTruth, a technology-based environmental nonprofit based in Shepherdstown that uses satellite imagery and remote sensing data to map and monitor threats to the planet such as oil spills, fracking, mountaintop removal mining, and overfishing of the oceans. As a leader of the Create campaign for Shepherd University, Allen helped the institution raise $26 million in its first comprehensive fundraising initiative. She also served as a trustee for nine years and president for four of the Contemporary American Theater Festival as well as on numerous other boards, including the New York based playwright service organization New Dramatists. Allen has participated in panels for the Theatre Communications Group and for the National Endowment for the Arts. 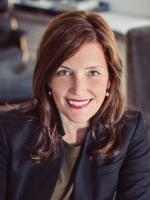 She earned a bachelor of arts from Hampshire College in Amherst, Mass., a master of arts from the University of Georgia, and an Executive Certificate in Nonprofit Management at Georgetown University. Bob Brown, who is employed in the Office of the President for the American Federation of Teachers, resides in Charleston. Brown is Senior Vice President of the WV AFL-CIO; Chair of the WV Public Employee Grievance Board; a Commissioner for the Malden Public Service District; and serves as a member of the WV Workforce Investment Council, Teachers Retirement System Committee of the WV Investment Management Board, and the WV Attorney General’s Citizen Advisory Committee. A Marine Corps veteran of the Viet Nam war, Brown was educated in Kanawha County public schools, West Virginia Institute of Technology, and West Virginia University. James W. Dailey, II completed his undergraduate studies at West Virginia University in 1968 and received a bachelor of science in construction management from Northeast Louisiana University in 1970 while serving as president of Sigma Lambda Chi Construction Society Honorary. Dailey is Chairman and Treasurer of W. Harley Miller Contractors, Inc., where he started with the company 47 years ago as an estimator, and progressed through to project manager, chief construction engineer, vice president, and executive vice president. His construction experience has afforded him the honor and privilege of being involved in a vast array of building projects throughout his career. Dailey is a past president, officer and director of the Contractors Association of West Virginia, as well as of the Associated Builders and Contractors of Cumberland Valley Chapter. He has served as a member of the board of trustees for the Construction Education Foundation. Dailey is a past chair of West Virginia University Board of Governors and past gubernatorial appointee of West Virginia University Board of Governors. He is a past gubernatorial governor appointee to the West Virginia State Building Commission, and a current gubernatorial appointee to the Public Employees Insurance Agency, Finance Board and Trust Fund. He is a current mayoral board member appointee to the Building Code of Appeals Board for the City of Martinsburg. A past president, officer and director of the Martinsburg-Berkeley County Chamber of Commerce, Dailey serves on the executive committee and as a director of the West Virginia Chamber of Commerce, chair of the board for United Bank of Martinsburg, and board member of United Bank of West Virginia. He currently serves as chair of the board of Farmers & Mechanics Mutual Insurance Company of West Virginia and as a director since 1995. He currently serves as chairman of the board of directors of Farmers & Mechanics Fire & Casualty Insurance, Inc., where he has served as a director since 2006. He currently serves as chair of the board of directors of Pulaski and Giles Mutual Insurance Company of Virginia. He was a major (retired pilot) with the 167th Airlift Wing of the West Virginia Air National Guard. He is a 32nd Degree Master Mason of Equality Lodge No. 44 of Martinsburg and the Osiris Shrine Temple in Wheeling. He is a member of the Christ Reformed Church, United Church of Christ. He is married to his wife, Diane, and they have a daughter, a son and six grandchildren. Diane Lewis Jackson is a graduate of Fairmont State University and holds two degrees in accounting and banking. 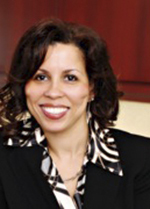 She is the Founder, President and CEO of Action Facilities Management, Inc. (AFM), located in Morgantown. Lewis Jackson has successfully grown her company to be a premier government and commercial contract firm specializing in site management, security services, maintenance and janitorial, equipment operations, consulting, staffing solutions, and project management. 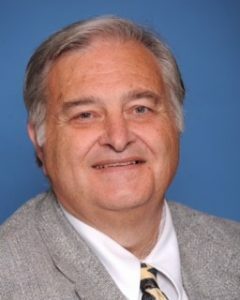 Lewis Jackson currently serves on the West Virginia University Hospital Board, the Visiting Committee for the Mary Babb Randolph Cancer Center, and is a former member of the West Virginia University Board of Governors. Lewis Jackson has received countless awards/commendations for her dedication and leadership principles. Dale Lowther is a retired accountant who resides in Parkersburg. He served two terms as a member of the Marshall University Board of Governors. Dr. Steven L. Paine began serving as West Virginia’s 31st Superintendent of Schools in March 2017. He previously served as West Virginia’s 25th Superintendent of Schools from 2005-2011. Under his leadership, West Virginia was internationally- and nationally-recognized for its 21st century learning program. The state was also singled out for its work with pre-K programs, school technology implementation, school leadership development programs, reading initiatives and teacher quality efforts. Paine was active in national education policy discussions as president of the Council of Chief State School Officers and as a member of the National Commission on Teaching and America’s Future (NCTAF) board of directors and the National Assessment Governing Board. As part of the governing board, Paine helped lead its work to set policy for the National Assessment of Educational Progress (NAEP), commonly known as The Nation’s Report Card. 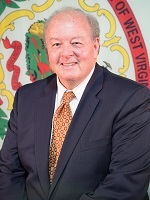 Paine joined the West Virginia Department of Education in 2003 as deputy state superintendent of schools after serving as Morgan County superintendent. He also has served as principal, assistant principal, teacher and curriculum director in school systems in Upshur and Harrison counties. During his tenure as principal, Buckhannon-Upshur Middle School was named a U.S. Department of Education Blue Ribbon School and a U.S. Department of Education Safe, Disciplined, Drug-free School, one of approximately 10 schools in the nation to earn both awards. As a result of his work as a principal, he was named a recipient of the prestigious Milken Family Foundation National Educator Award. Paine earned his undergraduate degree from Fairmont State College. He furthered his education by attending West Virginia University in Morgantown, where he received his master’s in educational administration and his doctorate in educational leadership. Andrew Payne has worked in the financial industry for the past 30 years. He attended public school in Charleston, and graduated from George Washington High School in 1976. He received his bachelor’s degree in economics in 1980 from Hampden Sydney College, and his M.B.A. from George Washington University in 1985. 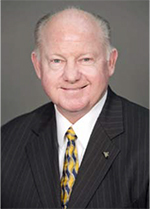 Payne was a member of the Board of Governors at West Virginia University for nine years, serving three years as vice chair and two years as chair. Donna L. Schulte is an accountant who resides in Princeton.